One of life’s greatest pleasures is the beauty of a great meal in an outdoors setting that offers fun people watching with an exciting backdrop or in an exciting location. Captain’s Quarters Riverside Grille fits the bill in all categories! The restaurant at Captain's Quarters is beautiful inside and out, as the inside features a spacious dining room with large tables, booths, a cozy fireplace and vaulted ceilings. In fact, the stone wall around the interior of the dining room is part of the original restaurant that was located on that site years ago. 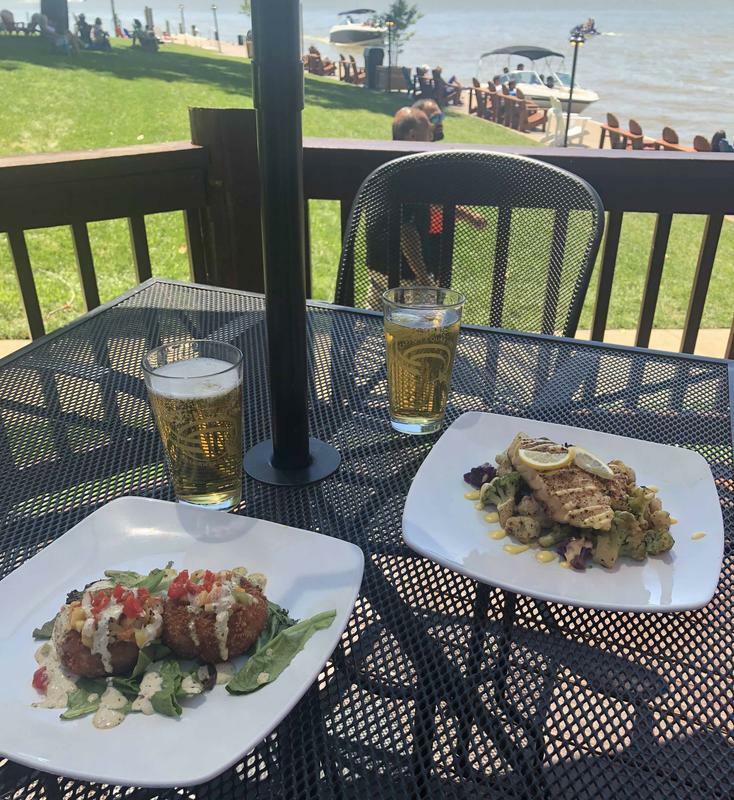 Being a bright and beautiful summer day, we chose to eat on the outside deck so that we could enjoy the best view of the Ohio River offered by any Louisville dining establishment. The expansive deck, bar and expansive lawn here are simply unmatched and each provide a relaxed setting from which you can enjoy your favorite beverages along with some fine and affordable dining options. We started with two trademark CQ cocktails: the Miami Vice and the CQ Lemonade. Both were fabulous with a tropical twist and were a perfect opening to what was an excellent meal! For an appetizer, we ordered the Crab Cakes. This is a must-do dish at Captain's Quarters in Louisville! The Crab Cakes were perfectly cooked and just the right size as to not spoil our appetites. They certainly set the stage for what was coming next! A lesser known CQ specialty is the Islamdora Grouper. We tried this and were instantly won over. The dish not only tasted fabulous but was extremely colorful with various colored cauliflower complimenting the fish perfectly in every way. Captain’s Quarters is well known for their fried Cod Sandwich and we did have to have one of those. Their menu though, is broad enough to keep every member of your party of family happy. 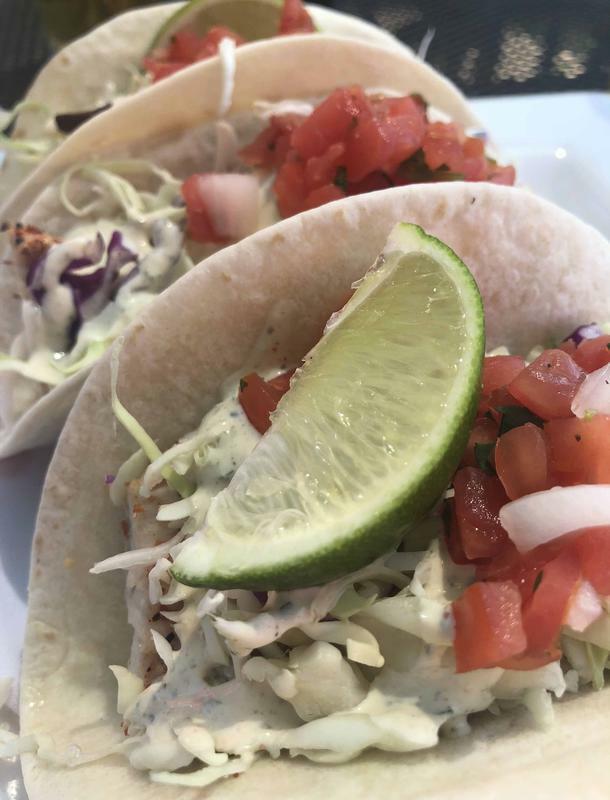 Another excellent choice followed when we decided to order the fish tacos, which were beautifully prepared and included three exceptionally tasty handfuls that really knocked us out! Of course, we had to do the Fish sandwich as well. There’s a reason this sandwich is sop popular throughout the area. The cod was freshly prepared and arrived hot. The fries that complemented the sandwich were also a special treat. 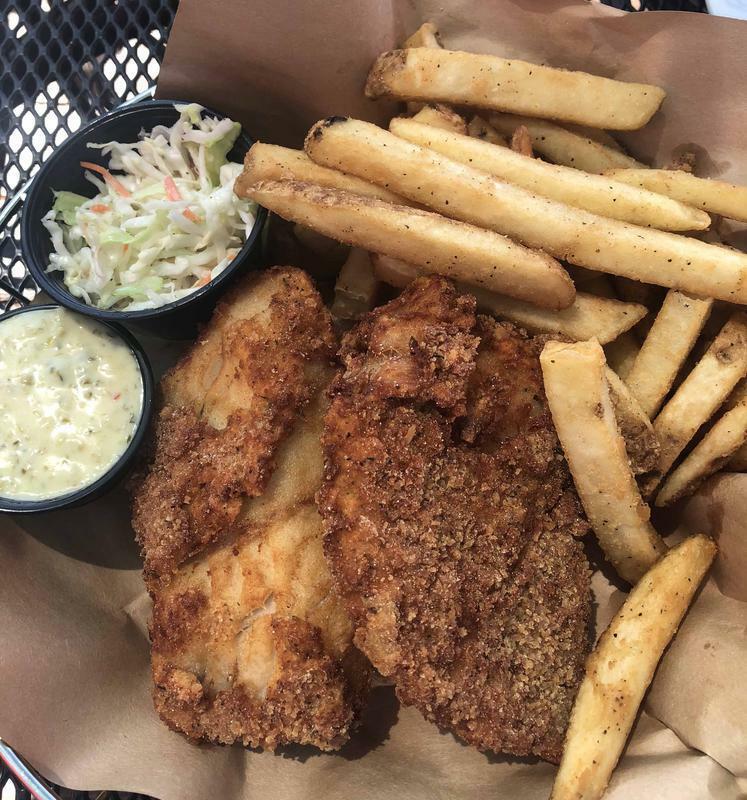 Click Here to View the Menu at Captain's Quarters in Louisville! 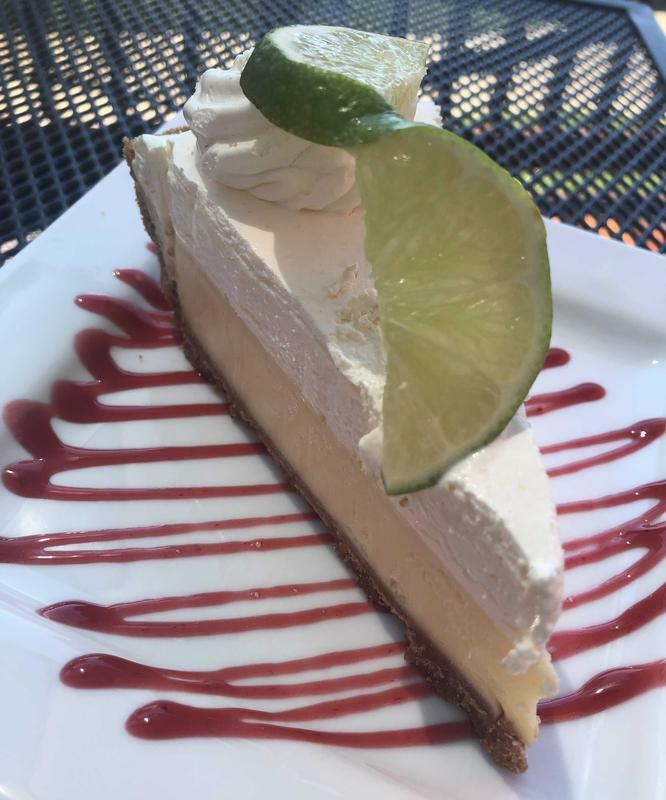 After all of that, the setting called for a slice of Key Lime Pie. It came perfectly chilled and was a delicious way to wrap up an absolutely wonderful afternoon. Click Here to Read About CQ Princess River Boat Cruises! The setting at Captain’s Quarters makes it very easy to be comfortable and settle in for a while. Before and after your meal there is plenty of room on the lawn and of course the bar is always open, so you’ve got plenty of things to do and see. The crowd is pleasant and great to be amongst. 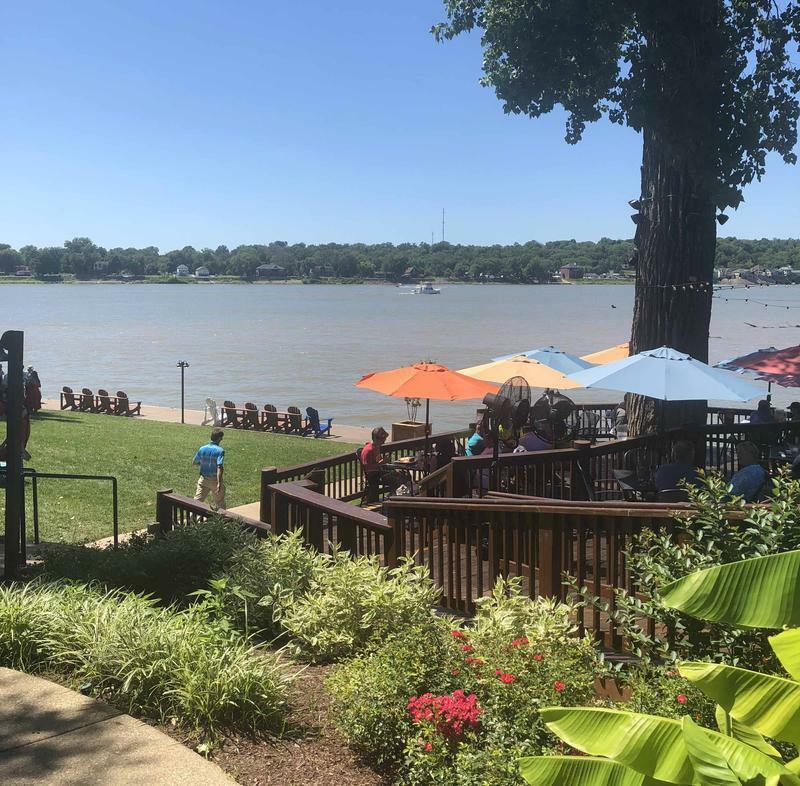 The view of the Ohio and the adjacent marina ensure lots of boat traffic and altogether this creates such a relaxing atmosphere that you’ll want to come back often. Although our visit was great during the summer, Captain’s Quarters is open all year round. 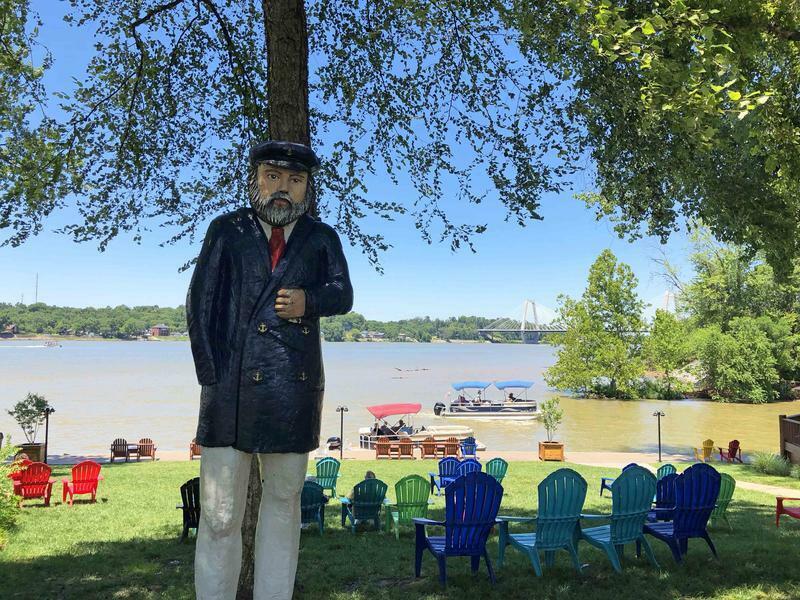 Of course, the view of the Ohio River changes with the seasons so you’ve got a great view throughout the year as well! 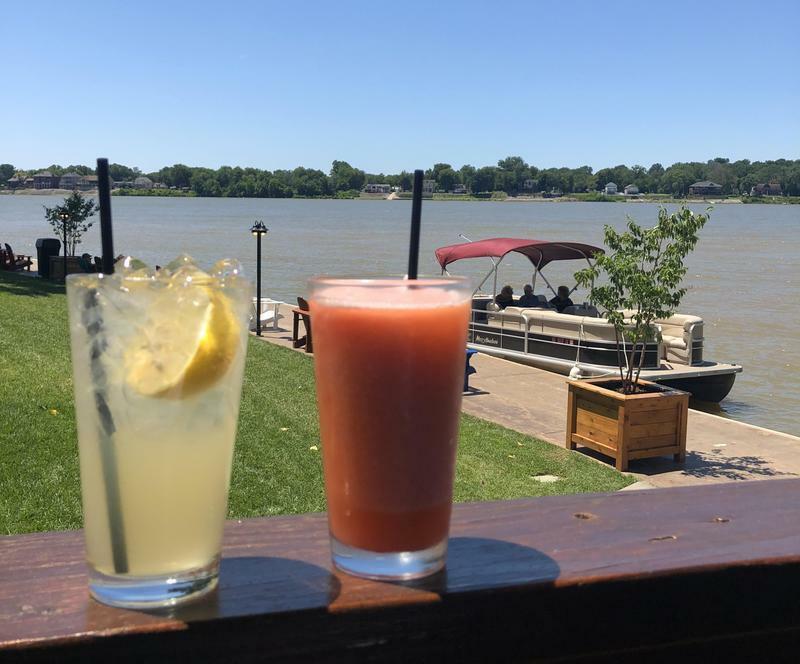 Click Here to Make Reservations at Captain's Quarters Riverside Grille in Louisville!